Hostess this month is Tanna, who reigns in our Kitchen of the Month and dictated that we should bake a Portuguese sweet bread named Pao Doce, Massa Sovada. We didn’t mind. We were ready to be dictated that way (shows how sweet we really are, truly sweet dispositions all of us Babes…. (hmm spellchecker wants met to switch that to distortions which is probably more like it anyway). Back to things on hand. The bread, the recipe, the baking. Kids asking for more, husbands roaming the pantry to search for slivers of bread. So I’d say if you have some time on your hands, a working oven… bake it! Be a Buddy, let Tanna know you made it either by email or in the comments and get one of those fancy Buddy Badges. - 6 tablespoons butter, room temp. - 3 large eggs, room temp. - 120 milliliters milk, room temp. Final dough should be smooth, soft and very supple with a slight stickiness. Looks a little like brioche dough. Allow to rest 20 to 30 minutes before final shaping with rolling pin*(see notes below). Tanna’s took less, I’m still getting acquainted with my new oven so keep an eye out for done-ness. Brush with melted butter when hot from the oven. If you're really a sweetie, I suppose you might then dust this with sugar. *Now this shaping proved to be tricky, because Tanna showed us a lovely method where you “divide” the dough ball into eight parts by pressing a thinnish rolling pin onto the dough. In my case it was like pressing an air mattress because the dents I was pressing in would fill again as I was pressing the next dent. Maybe because I had not allowed for enough rest time before attempting to final shaping or maybe because this dough was so eager to rise -> Although I floured and even slashed ánd floured the demarcations (instead of pressed) the second dougball both loaves had so much ovenspring that I was left with two round boules instead of the lovely star-shaped loaves I intended. * I had to add about 1 cup of flour to get a smooth supple brioche like dough. This recipe is a very nice one and certainly one to remember and bake again, my kids thought it was cake (I cleverly served them pointy slices like you would serve cake) and came back for more and more. One loaf disappeared in under 30 minutes! Personally I loved spreading some paté on it, combination of savoury and sweet is great! It also makes excellent toast, imagine this and a full english breakfast for dinner! Or… some butter and preserves… Yum! Please remember that the BBBabes’ anniversary is coming up in February. We’d like~you to pick the Anniversary Bread recipe for February 2011. You have until November to think about it. I have baked this many times and there have been several occasions I couldn't get the indents to stay...then you have REAL traditional Sweet Portuguese Bread! Very glad the boys thought it was cake! hehe. mine disappeared too within minutes tho it was huge! I am with you that the dough was so eager to rise that the lovely shaping nearly vanished... a bit was left on mine tho. 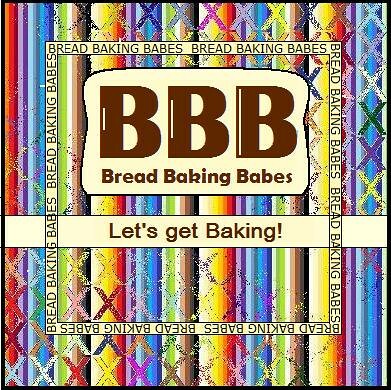 I think this is one of my favorite BBB breads tho I love most of them. We loved it here too, the first part of the recipe even reminded me of baking cake! Was this your first bread in your new oven? Getting used to it a little? I actually used the handle of a wooden spoon to make my indentations but I think you need something a bit thicker. I love the mental picture of your family roaming the kitchen like a rabid bunch of dogs looking for scraps of the Sweet Portuguese Bread. Gone in 30 minutes! That is testament to truly great bread. Love it that they thought it was cake.... Well done! I love your pictures, nice shots! Sorry couldn't help myself. But yes, this was a lovely bread! I couldn't get over how fabulous this bread smells when it's baking! Ours isn't all gone yet (there's only two of us) but we're making short work of it. Yes, first time out it was gone almost before I could take photos ...the "boys" went through the second batch, first loaf pretty quickly, too. A winner! I'm pretending the photos are there and gorgeous. that's quick work of a loaf of bread! We want pictures, as I'm sure they were gorgeous, dents or not!